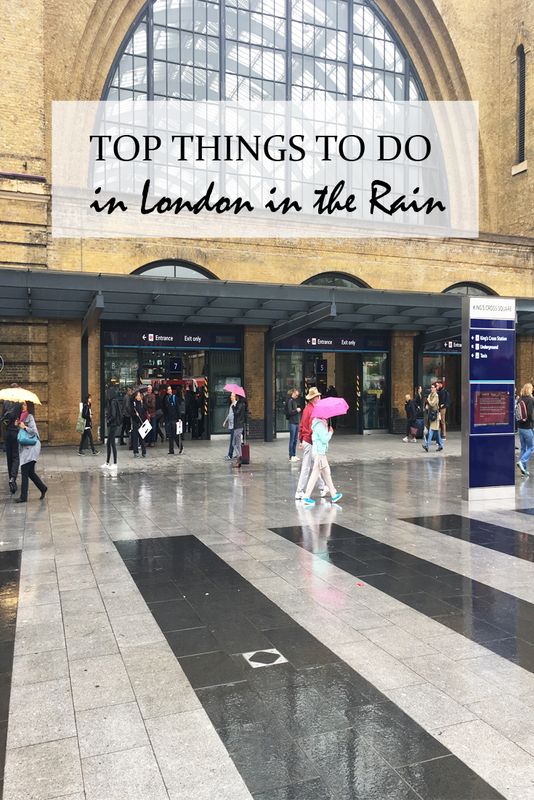 Here are my top tips of things to do in London when it rains. London has a wide array of museums, so even if you are not the classic museum type, there sure should be something to tickle your interest. And best of all, most state museums are free. You might want to leave a little donation to keep them going or you might have to buy a ticket to see some of their additional exhibitions, but the main museum is free. And most museums also come with a lovely tea shop, so you can extend your stay a little before heading out in the wet again. Victoria & Albert Museum (corner Cromwell Road / Exhibition Road, nearest tube ‘South Kensington): dedicated to decorative art and design and set in a stunning building. They recently had a new entrance added, so go and check that out as well. Natural History Museum (corner Cromwell Road / Exhibition Road, nearest tube ‘South Kensington): next door to the V&A and in a similarly stunning setting. It houses a large selection of animals, plants and minerals and is probably best known for its large dinosaur selection. For years Dippy (a life size cast of a dinosaur skeleton) had been the main feature in the main entrance hall of the museum, but has recently been replaced by a giant whale. British Museum (Great Russell Street, nearest tube Holborn): home to a large selection of mummies and exhibits of all periods of history, it houses a vast selection of exhibits. And take the time to visit the Great Court in the middle of the museums. The large glass roof will look stunning and light, even if it is pouring with rain outside. Only because the weather is crap doesn’t mean you have to miss out on exploring the city. Ok you might not fancy a walk through the City or a cruise on River Thames, but there are other ways. Just take a bus. And I am not (necessarily) talking the Hop-on Hop-off tourist busses. Any regular bus will do. There are some really good routes that take you past a lot of the main sights, like route 23, 15 and 9 (check out my ‘London on a budget’ post for more info). Why not head to the West End and see a show? Obviously you can do this even without any rain, but surely this is a good excuse to actually get yourself a ticket for the night. There are loads of theatres in the West End and you are spoiled for choices when it comes to plays and musicals. Head to Leicester Square in the morning and bank yourself some bargain tickets for the evening. So how about London’s longest running theatre play, Agatha Christie’s ‘The Mousetrap’, continuously running in the West End since 1952. It might also be worth checking out some of the local churches for some awesome lunchtime concerts for very little money (or even for free). Union Chapel in Islington is one of my favourites and also St. Martins in the Fields have some great concerts on. I mean after all you were probably planning on doing some shopping anyway, so adapt to the weather and head to one of the shopping malls instead of Oxford Street. Westfield in Stratford and Shepherds Bush would be the largest ones, but there are others around as well. A quintessentially British affair is Afternoon Tea. And don’t be fooled, we are not talking a simple cuppa and a slice of cake. Afternoon Tea (or High Tea) is a rather lengthy procedure with generous amounts of tea, sandwiches, cakes and scones. You can easily spend two to three hours, so forget about the rain outside and indulge in an afternoon treat. My absolute favourite is the Afternoon Tea at the Chesterfield Hotel in Mayfair. And tea time at the Ritz is still on my bucket list. However there are loads of places throughout London that offer Afternoon Tea, from larger hotels to cafes and even some department stores. So you should be able to find one regardless of your travel budget. So no need to dampen the mood, only because you experience London in the rain. So whilst I hope you have absolutely marvellous weather whenever you visit London. I also hope this little guide on what to do in London in the rain helps you keep up your spirits if you do get caught in the rain. After all, do what the locals do. Take your umbrella with you at all times and get on with it. Life’s too short. These are great tips on finding ways to see London, even when it is raining. I especially like your museum recommendations! Great post! I’ve been wanting to write a similar post about Copenhagen for a long time now. You just inspired me to start writing that again. Thank you! The bus is often overlooked when the underground is available, but it really gives you a better sense of the city’s vibe (and geography) to get around on the surface, and to see not just the sights but everyday London life as well! Also, if I could have afternoon tea every day it would not be the worst thing … Will have to check out the Chesterfield Hotel next time we’re there!